There are a bunch of reasons why people rent. Today, when even the necessary commodities are worth a fortune to a big chunk of the population, renting is the best option to do. Doing rentals enable you to enjoy certain things without paying the entire price of its market worth. There are also variations why people tend to do rentals and stick with it rather than buying the actual stuff or property that they want. 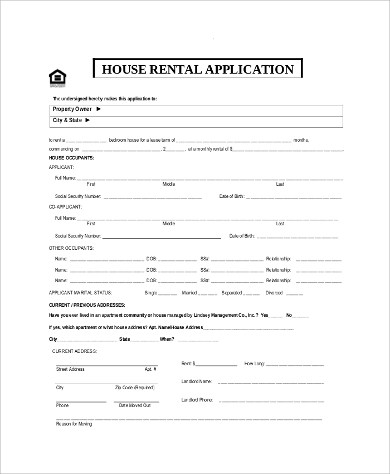 No matter what your motive in renting is, you should be sure that you have the proper knowledge on rental application forms, as it will help you to rent the things that you want and enable you to have a good start of relationship with the person or group that allows you to rent their own property. 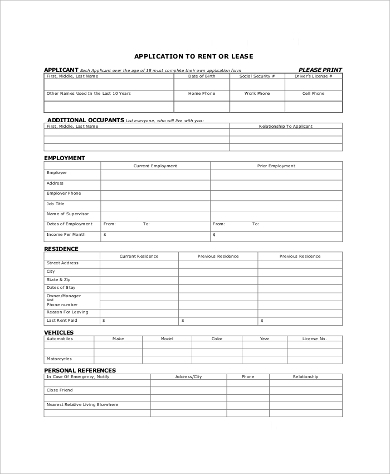 For more Sample Application Forms, kindly click the link provided. House/Residential Rental. Commonly used by families from a different country or other region of their own country who have decided to move to a new place but prefer to pay the monthly rent than immediately buying a property. 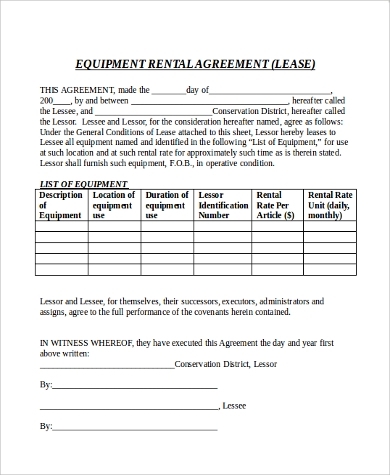 Rental Lease. This usually happens when the entity who will rent a place is not willing to buy the property but is going to stay there for a long period of time. Equipment Rental. If buying your own sound system and the like is too pricey, especially if you are only to use it once or a couple of times, renting your desired equipment is the way to go. Property Rental. There are different properties that are for rent like vacant lots used for food stalls, events places, and areas that can be used for the purpose of the one who will rent it. 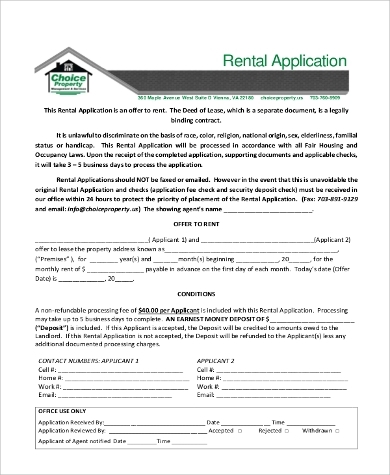 Apartment Rental. This is very famous to students and workers whose job or school location are far from home. Travelers also use this rental type if they are to stay to a certain place for more than a month or so. Car Rental. Airports, hotels and selected terminals are already doing this kind of service for easier means of transport but on a relatively higher price. 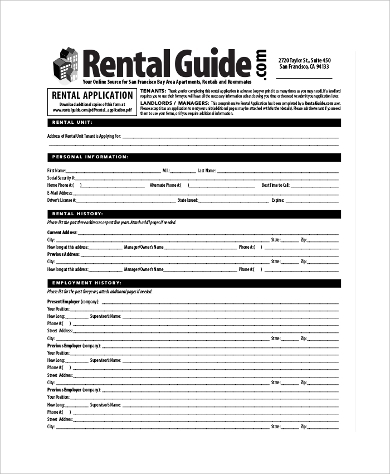 A detailed rental application form will make your rental process easier for the abovementioned rental types. You can take a look at Sample Application Letters for more printable examples of letters used for different kinds of applications. 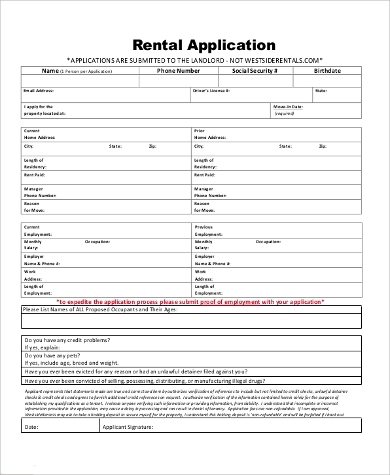 information of the person/company providing the rent. 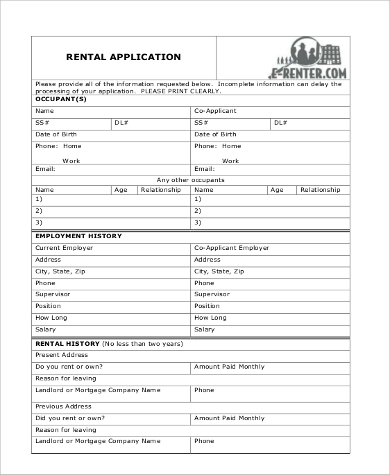 A rent application form is only one of the many forms that you need to familiarize yourself with. 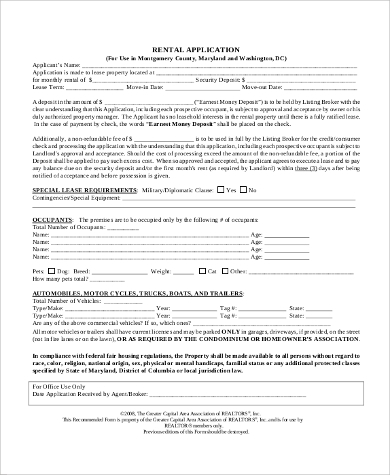 For other forms of applications, you may download printable templates at Sample Blank Job Applications and Sample Lease Applications.